The firm is performing the permitting, civil design and project management activities for the Playa Hermosa project in Vega Baja, Puerto Rico. 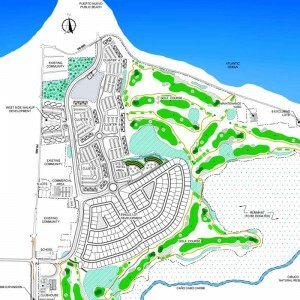 This project includes 1,200 residential units and 400 hotel units, plus a golf course. Civil design and project management work include planning to develop the overall project layout, rough and final grading, four-lane access road and all internal roads, water and sewer infrastructure including lift stations, offsite water and sewer transmission facilities, and coordination with all specialists including surveyor, building and golf course architects, geotechnical and electrical engineers. Coordination was performed with infrastructure agencies.